Recently I was talking with a friend about Disney’s Hollywood Studios. As with every park, there are things we liked, things we didn’t like, and portions of the park we couldn’t make heads or tails of. In the end, the one attraction that garnered the most debate was the Studio Backlot Tour. From that conversation, and drawing inspiration from the movies, I’m going to look at the good, the bad, and the ugly of the tour. The Good – The Backlot Tour has a lot of good to offer. Certainly, Castrophe Canyon belongs in this category. While it’s true that no one is genuinely surprised by the ‘active’ set any longer, save the rare first time guest, the effects are still fun and get the blood pumping. When the tram makes the turn to venture behind the canyon set, the breakdown of how specific effects are fashioned is always intriguing, even if it is the same information imparted to guests each trip. The other positive found in the Backlot is the prop warehouse between the water tank and tram portions of the tour. New items are regularly tagged and added to the collection, making it a grin inducing area. Of course, nothing compares to Walt Disney’s Gulfstream plane used to fly over the Central Florida site that would become Walt Disney World. The Bad – First and foremost, do we even have to mention the fact that the tour no longer moves through a working studio? Well, I guess we already have. Without television or feature production taking place in the park, the entire tour has a sham feel to it. To the lack of production, add the point that the entire tour is scripted and prerecorded, and there really feels like a lack of legitimacy throughout the attraction. The other obvious point is the loss of Residential Street. I don’t want to harp on how yesterday’s tour was a more complete experience than the current version, but the removal of Residential Street brought about an entirely new attraction, but abbreviated the tour with nothing utilized as a replacement. The tram tour did not need to be shortened, if anything it needed to be lengthened with new elements and learning opportunities. 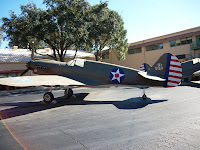 Of course, the most notorious stain upon the Studio Backlot Tour is Pearl Harbor. 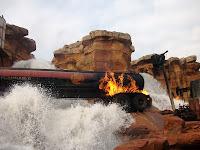 Featured heavily in the queue video, the inspiration for the tank effects tank, and vehicles that are explicitly pointed out, this ten year old film monopolizes far more of the tour than it is due. 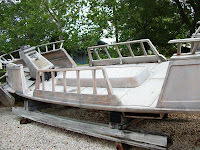 The Ugly – There is only one ugly mark upon the Studio Backlot Tour at Disney’s Hollywood Studios that I wish to discuss, the boneyard. The boneyard is the collection of vehicles from popular, and not so popular, films that is always punctuated by the clicking of cameras. The problem is what has become of the vehicles themselves. 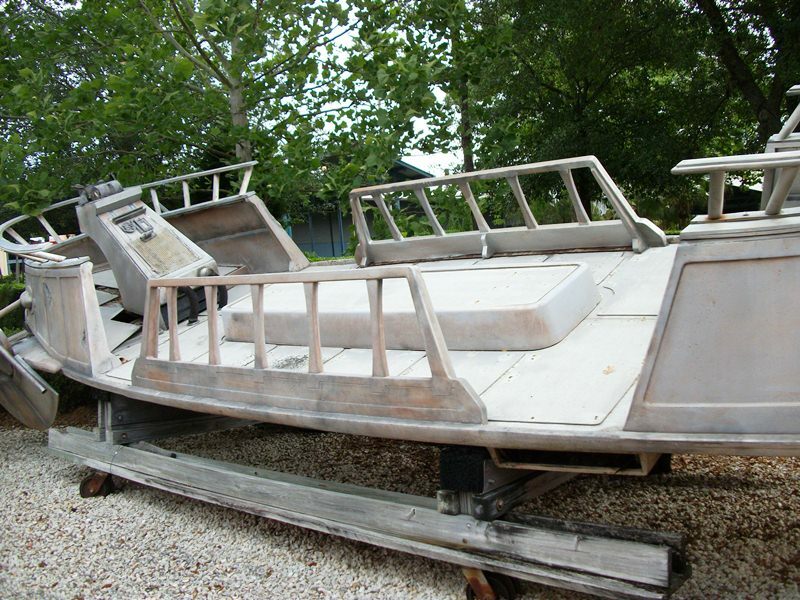 Vehicles like the skiff from Return of the Jedi have been left in the brutal elements that Florida offers. The beautiful transports have been weather and sun worn with no protection. I don’t necessarily have the answer, but I know there must be a better way to present these big screen gems while still giving them some manner of protection. There you have it, the rolling contradiction known as the Studio Backlot Tour. This attraction has always contained an enormous amount of promise, the question is, when will it once again live up to its potential? The walk through the props room is still kinda of interesting but you are absolutely right about the rest of this. This attraction needs a "facelift" both figuratively and literally!! I went on the tour for the first time in YEARS a couple weekends ago. How long has the “pre-show” only had guests partake in the action every other show? And why have a recording when you’re still paying a CM to face the tram and basically babysit? You hit the nail right on the head here. I actually wrote something similar to this a few months ago, when I was trying to decide what my favorite attraction at DHS was. This has always been it, but I've been so frustrated with the changes they have made throughout the years, it's no fun. I remember my loud gasp the first time I went on and the voice was recorded. Nothing about that attraction is original anymore, and I wish that Disney would dig out some movie props and update update update even if it means making the first special effects scene about Pirates or something. Thanks for writing this! I was thinking about it at lunch, and knew I just had to comment. Think you raised some good points all around and I tend to agree with them all. Frankly, once the Studios stopped having production, the Backlot Tour ceased to be a good attraction. I remember when you got to walk along the tops of the soundstages and see work being done for TV shows and movies. Yes this needs work lots of work. "The Ugly" - I remember visiting myself having a dropped jaw throughout the tour! These are props that bring our beloved movies a step closer to home - They're the only tangible item besides a DVD/VHS from the films that we can actually touch. Its deplorable that they're left to rot. My first shock was in the mid 90's at Universal Studios. There was a little square lot with various props from movies left out in the open. I have an idea for these props - Instead of leaving them out to rot, why not build a simple building (like a massive aluminum shed) where people can enter and take a look at these props? Have some information on a small plaque that goes into what movie the prop is from, it's role and the designers of the prop? I don't know, but I'm surprised I feel the way I do. I just hate seeing these things rot. Like the "Spinner" vehicle from Blade Runner. It sat out there and rotted away until they took it and destroyed it. The same for the BTTF Delorean.